Brandon Oto promoted The First EMS What-if-We’re-Wrong-a-Thon last year, but I was taking a break from blogging at the time, so I did not participate. The idea is to consider a position from the perspective of being wrong. This is the way science works. An idea (hypothesis) is tested by attempting to prove that it is wrong, rather than attempting to prove that it is true. Unfortunately, not all science is done well. Ideology (politics, religion, nationalism, stereotyping, . . . ) is the opposite of science. The goal of ideologues is to defend the dogma, rather than to find the truth. Since valid evidence to the contrary is all that I need to change my mind, as I have on ventilation in cardiac arrest, high flow oxygen for just about anything, epinephrine any drug for cardiac arrest, intubation as the gold standard of airway management, et cetera, is to look at something based more on opinion, rather than evidence. What have I been wrong about that I have not yet corrected in writing? 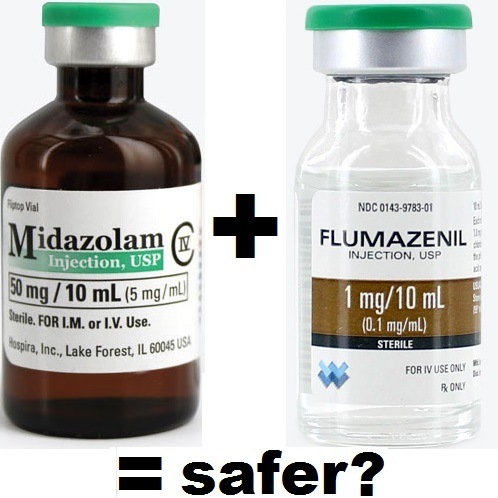 Romazicon (flumazenil) is a benzodiazepine antagonist which has the nasty side effect of producing seizures. I have condemned the suggestion that it should be used by EMS, because it is just an ALS (Advanced Life Support) means of trying to correct a BLS (Basic Life Support) problem with the potential for creating ALS problems that would result in even more ALS solutions. In considering the effects of flumazenil, have I put too much emphasis on the adverse effects and not enough emphasis on the ways that the side effects can be prevented or managed?